Here’s Cordelia taking a selfie. LOL! 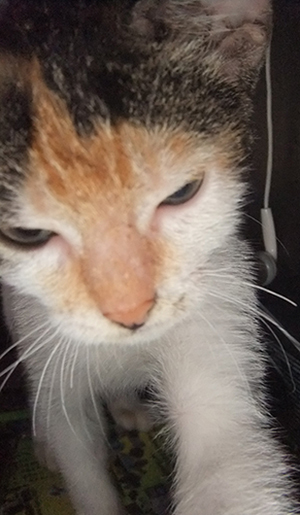 This entry was posted in Pets and tagged cat, cordelia, new pet, selfie, selfie cat on March 9, 2014 by Yami. Meet Cordelia (a.k.a. Ling-ling), the latest addition to the family. We have a dog, a turtle, and aquarium fish. My son saw the poor kitten wandering near the school vicinity. He took her home because he’s afraid that moving vehicles might accidentally hit her. We adopted her and named her Cordelia, but I prefer to call her Ling-ling. Cordelia wants to be cuddled and pet. She sleeps almost anywhere she pleases. “Life” is almost perfect for Ling-ling except that she is not going to be friends with Oreo. Our 3-year-old pooch isn’t happy with her presence at home. He would bark at her and would only stop when he lost sight of her…sigh. 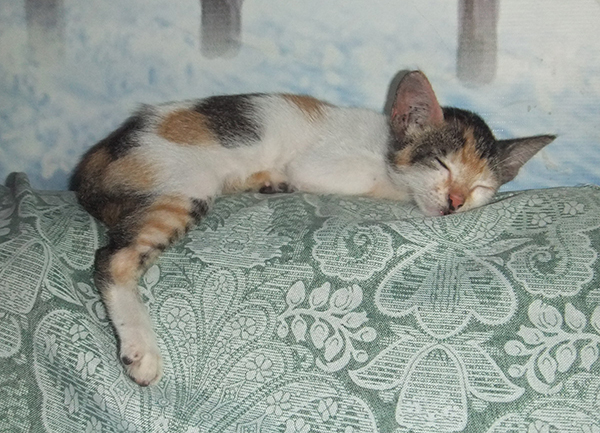 This entry was posted in Pets and tagged cat, cordelia, kitten, new pet on February 18, 2014 by Yami.